West Maui Preservation Association is a non-profit public-interest organization concerned with North Beach development projects in the vacant land next to Mahana. WMPA filed an Intervention Petition with Maui Planning Commission in October 2004 to object to the proposed Intrawest project next to Mahana. Our attorney, our technical expert, and our negotiating team have been in constant settlement negotiations with Intrawest since March 2004. Our organization recently reached a settlement with Intrawest through Mediation directed by Maui Planning Commission. We are pleased to inform you of some important concessions we obtained, which affect your ownership at Mahana. Intrawest will either auger or lay a raft support for their two buildings and parking structure next door to Mahana. Both methods involve pouring cement into excavated areas to form support for their structures, without the noise and vibration caused by piledriving. WMPA previously reached a settlement through our Intervention Petition objecting to Starwood’s proposed third building at the south end of the cane field next to Mahana, where Starwood recently constructed two buildings. A map showing locations of these two construction projects and Mahana is attached. Starwood’s recent building is on Lot 1, Starwood’s next and final building is on Lot 2, and Intrawest’s (IW) current project is on Lot 4 next to Mahana. WMPA has confirmed Starwood will also use augering instead of piledriving for construction of their next and final building south of both Intrawest and Mahana. Quieter enjoyment of your condo during the 15 months piledriving was planned. Increased ability to rent your condo during that 15 months of previously planned piledriving. Avoidance of the item carrying the greatest risk of damage to Mahana’s structure, and accompanying AOAO repair expense. Avoidance of the greatest item of potential damage to the inside your condo from leaks and cracks caused by piledriving. Greater protection from damage to water/sewer pipes and roads from substrata vibration from piledriving. Probable elimination of expense to AOAO in obtaining reimbursement from piledriving damage. Quieter enjoyment of Mahana grounds, adjacent beaches and parks. Complete removal of 80-feet of the building closest to Mahana and the shoreline. Installation of a beach walkway from Mahana to the public park at the south end of the cane field (Kahekili Park). Elevated walkway bridges over the dunes connecting the beach to that walkway. Installation of a new fence on IW’s property to protect Mahana’s Monkeypod trees. Addition of a 20-ft grass firelane between Mahana and IW’s nearest building extending to the kiawe grove at shoreline. There was previously NO firelane on IW’s project. Vastly improved drainage systems at both resorts, and on the hills across the highway. Sewage is to be sent to Napili, not to the plant across the street from Mahana, with backflow valves requested for Mahana and the other 3 condos on that line. Height reductions to both of IW’s buildings, particularly at IW’s wing closest to Mahana. The spire with flag, and the neon light decoration atop those two buildings has been removed. Community Benefit Trust Fund to assist in WMPA’s current proposed projects of Honokowai Channel redesign to stop red dirt runoff from closing use of the ocean at North Beach, and repaving Honokowai Road in front of Ka‘anapali Shores Resort. Acquisition of easement and relocation of the 3-Resort location sign after installation of a dedicated right turn lane along Honokowai Road from Mahana’s road to the Highway. Enlargement of the new North Park next to Mahana, with addition of grass areas at the shoreline and side, and with attractive landscaping added throughout the new park. Side setback increase, moving IW’s nearest building farther south from Mahana. Placement of a large thicket of 20-ft tall trees in the new North Park to minimize wind. These concessions were negotiated by WMPA, and are provided at no cost whatsoever to Mahana. Our attorney’s fees were paid by donations to our non-profit corporation. No salary, consulting fee, transportation reimbursement, or other expense reimbursement was paid to anyone connected with our all-volunteer organization for their generous and extremely time-consuming participation in producing these benefits. Our supporters are West Maui business and home owners, including many Mahana owners. We are currently adding more supporters for our on-going work. There will be two additional construction projects in the land near Mahana. WMPA will again intervene in those Planning Commission proceedings. WMPA also holds continuing approval, monitoring and enforcement rights on the two current projects. We value input from all Mahana owners as our work continues. We are currently redesigning our website to facilitate your sending us your opinions and suggestions, which will be held in strictest confidence. 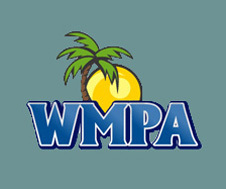 You will have choices from WMPA supporters at Mahana in your Board election this May. As construction of these two current North Beach projects takes place over the next several years, and as two additional construction projects request permits from Planning Commission, please consider voting specifically for individual candidates who are part of WMPA’s past and future efforts. Greater support from the Mahana Board would substantially assist WMPA’s continuing efforts to seek reasonable concessions to minimize impacts from adjacent developments. Please consider waiting until you evaluate these new candidates before signing away your right to vote independently. If you are on Maui soon, please check Akaku Channel 53 programming for WMPA’s presentation to Maui County Planning Commission of our settlement with Intrawest.